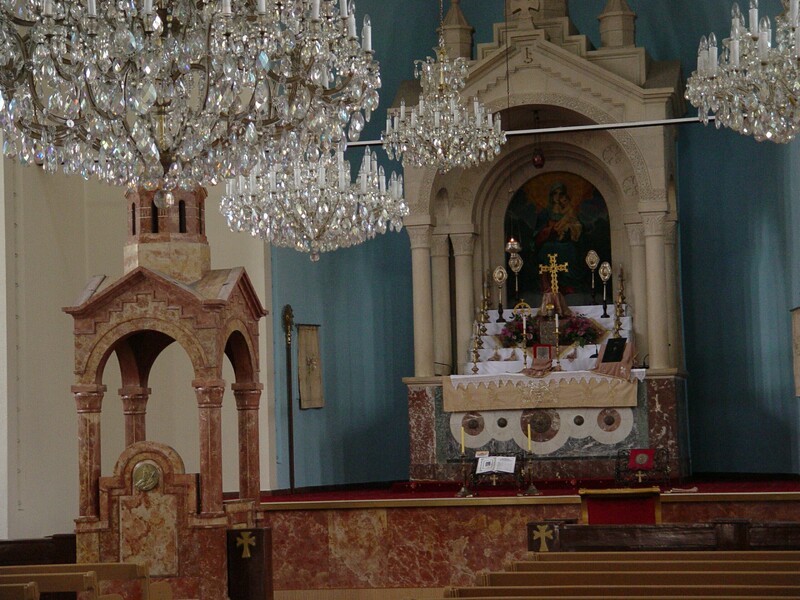 Two meetings today affirm the pride of place scholarship and erudition occupy among the Armenian Orthodox. 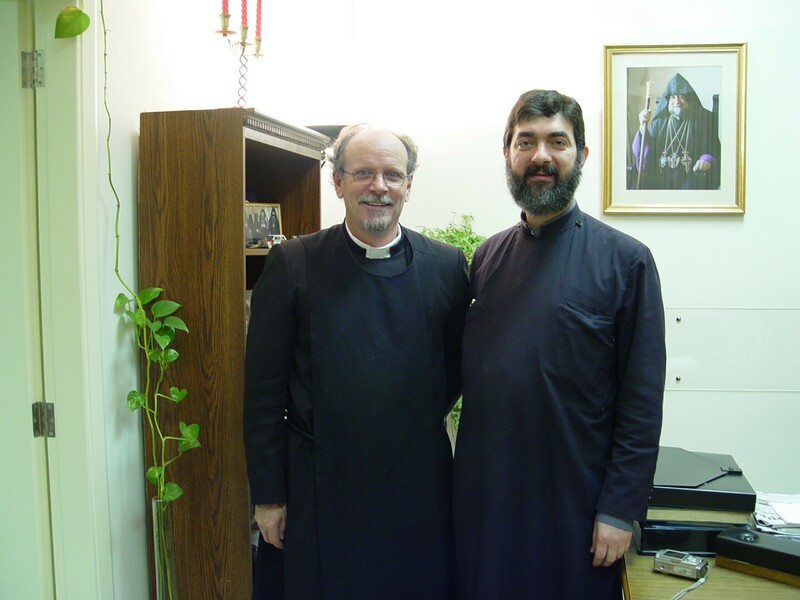 This morning I met Fr Krikor, Dean of the Armenian Seminary in Bickfaya. I have been asked to do some teaching at the seminary, and this was a meeting to settle a few of the details: four sessions in a row, Tuesday mornings, between 8:30 a.m. and 12:30 p.m. and ending with lunch in the seminary dinning room. It’s clear that Father’s first objective in inviting me to teach is to provide his senior seminarians (19-22 year olds) an opportunity to increase their English language proficiency. Returning to the theme of languages in yesterday’s post, the seminarians study four of them: Armenian, Arabic, French and English – a fifth language as well, Classical Armenian – as close to modern Armenian as is the Old English poetry of Chaucer is to the rhymes of Bob Dylan. To think that the majority of students in English Canada drop French language classes, settling for unilingualism, as soon as our education system allows! 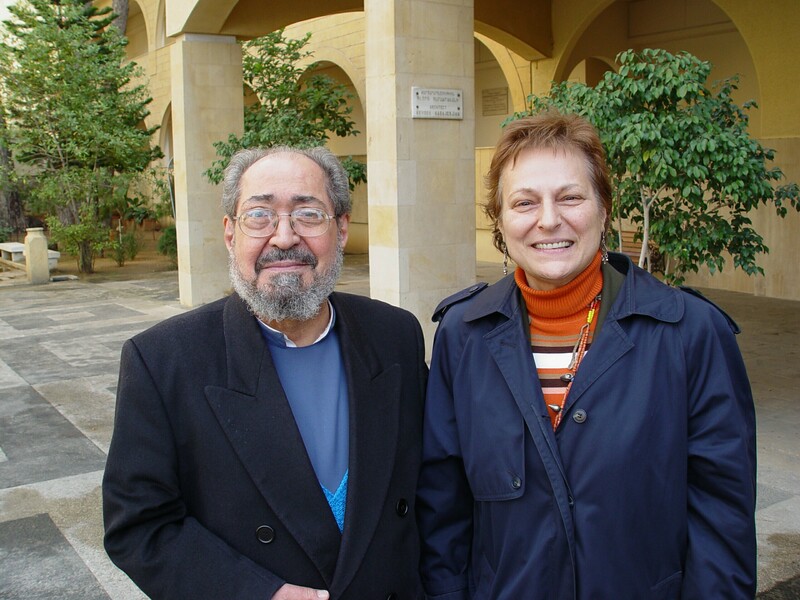 My teaching will fall in the category of English language immersion, in that Fr Krikor asks me to teach specific subjects: Patrology (the Fathers of Christianity), History of the Anglican Church, and Public Speaking. 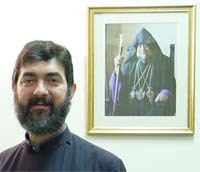 I am impressed with Fr Krikor’s range of interest evident in our conversation. Later I learn that he has authored many books, all in Armenian, and principally in the field of Ethics. I am pleased and quite honoured to be invited to teach again, after several years away from the classroom, and particularly so in such august company. His Excellency came to Antelias for the biennial meetings, last week, of the monastic brotherhood of the Great House of Celicia. Archbishop Goriun did his doctoral work at Oxford, and following an earlier conversation with him on my second day here, I managed to find a copy of his doctoral thesis in the library, reprinted in 2001 in honour of the 1700th anniversary of the proclamation of Christianity as the state religion of Armenia. His thesis, eminently readable, treats the causes of the collapse at the dawn of the seventh century, of what was once a hardy partnership between the national churches of neighbouring Georgia and Armenia. Once sisters and allies, they found themselves, following the Council of Chalcedon, on opposite sides of the great Orthodox schism (Eastern Orthodoxy is divided into two groups, the byzantine and the oriental). 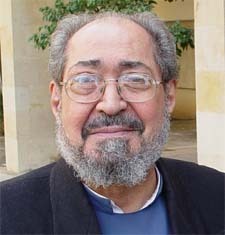 A comment from me on the enjoyment of reading his thesis, draws Archbishop Goriun into providing a fascinating overview of the geo-political history of the Middle East (from Babylon to the present day), reflection on the demise of Christianity in the region and, most touchingly, testimony to the first hand experience of his own parents and grandparents of the Armenian genocide. 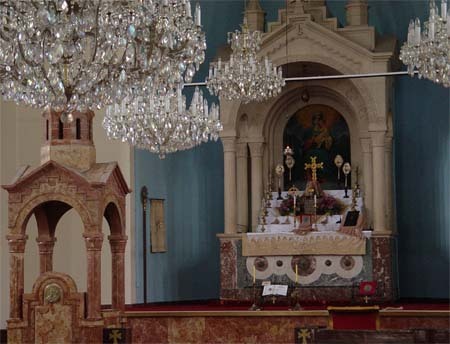 He notes that the Armenian population in the region (Cyprus to Kuwait) is barely a third of what it was only 30 years ago — most have migrated elsewhere, and that Christianity itself is now little more than a prominent minority in what was once the last Christian stronghold in the Middle East, Lebanon.